If you are a mom of twins with allergies and/or intolerances, you have all the work of two babies/toddlers/preschoolers etc. with the added challenge of being a food inspector. If you are in this boat, then this post is for you. I will start with giving you some background on the personal experiences that I had with my three sons and then close with a few tips for you. My walk with food allergies started soon after my twins were born. Clay was spitting up large quantities of his feeds and also had a bit of blood in his stool so I decided that food elimination was in order. This is not an easy task when you are trying to consume enough calories and nutrients to feed yourself and two babies, but I did my best. I decided to cut out cow’s milk products to eliminate casein (which is the most common culprit of blood in a breastfed baby’s stool) and I replaced them with soy based products. Well this fixed things for Clay but within a day Wesley was bringing up large volumes of his feeds. So I cut out the soy products and tried almond milk and coconut milk. These were both tolerated by both babies. YEAH! I used these two milks and avoided all yogurt, cheese, butter, margarine, breads, cereals, and other products that contained even a trace of milk or soy. I read every ingredient list, made my own bread, and rarely ate away from home. In addition to this, Clay could not tolerate if I consumed peanut butter, spices, or beef. So my diet during breast feeding was quite bland but very nutritious with lots of fresh and dried fruits, vegetables, rice, quinoa, oatmeal, homemade bread products, chicken, eggs, and fish. Once the twins were a year old I started to introduce some of the eliminated products into my diet in small amounts and they both tolerated most things. I am lactose intolerant so I was consuming lactose free cow’s milk, yogurt, and cheese. I don’t think Clay would have handled it if I consumed regular milk as he still needs lactose free milk today at 3 years of age. He likely always will. 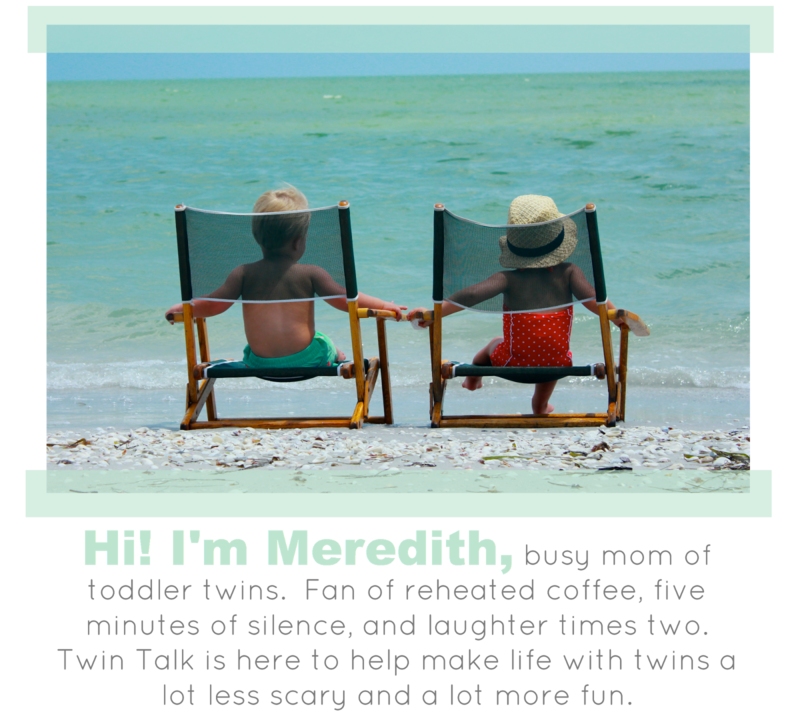 My twins were born at 29 weeks so I had to wait until they were 9 months to start solid foods. One by one, every three days, they tried a new food. I chose to start with avocado, then chicken, then iron fortified cereal, sweet potato, and on from there. I would first touch the new food to their cheek and lips and watch for any reaction. If all looked good, then the next day I would let them consume a small amount of the food mixed with my breastmilk, then if all looked good two days after that try a new food. It felt like it took forever to get to a place where they had enough foods for variety between days but just like everything else with babies, this now seems so long ago and a drop in the bucket of time. The waiting periods were worthwhile. They provided security for me that their guts were handling the foods. They each had a few foods that they did not tolerate well, but nothing serious and overall they had a wide variety of foods they could safely consume. What I found very interesting was that Clay showed lack of interest in foods that I had to avoid when breastfeeding. To this day he does not love cheese or beef. He will eat them but they are not his favourites. He much prefers a peanut butter sandwich to a cheese sandwich and would take salmon over beef any day! I sometimes wonder if cheese and beef cause him discomfort and his coping strategy is to limit his intake. I have respected this and ensure that there are enough healthy options for him outside of these products if I serve them at a meal. My third baby has been a steeper learning curve for me. I ran into the same issues with him while breastfeeding so I avoided milk and soy. He too grew out of these intolerances by one year of age. The main issue with him occurred when he was 6 months old. I started him on solid foods as I had with the twins and one day after nap he started throwing up violently. It was projectile vomit and he couldn’t stop. I breast fed him to hydrate him and he threw up again. I thought it must have been a GI virus and braced myself for a few difficult days as it would surely run through the house. Then, within a few hours he was totally fine again. I eliminated all foods and just breast fed him for a week. Then one by one I introduced foods again. All went well until I gave him oatmeal. Once again, about 3 hours after he ate the oatmeal he started throwing up violently. This time was worse. He became lethargic and very pale and eventually just laid on me and was nearly unresponsive. I debated going to the ER but chose to just cuddle him and pray. After 2 hours of sleeping on me he woke and started to get his colour back. He took a small bit of breastmilk and kept it down. He did not have any rash or sign of an allergy so I started to do some research. What I found was that he met all the criteria for FPIES. This stands for Food Protein Induced Enterocolitis. It is a non-IgE mediated allergy so it comes on a few hours after the food has been consumed. I requested a referral to an allergist from our pediatrician. By the time we could see the allergist Rhett was 7 months old and had a repertoire of 2 foods. I was nervous to continue with introducing foods as I knew he could have FPIES to more than one food and I was concerned that he may go into a state of shock again, which would definitely lead to an ER visit if it happened again. I was also nervous that my window for food variety and textures was closing in fast as 7-9 months is the ideal time to introduce textures. The allergist confirmed that this indeed was FPIES and told me to avoid other grains for a while but move forward with fruits, vegetables, and meats. I did so very cautiously and he tolerated everything. After another visit to the allergist at 9 months, we were given the go-ahead to try rice, wheat, barley, and rye. All went well. We will do a food challenge in hospital for oats when he is 2 years old and until then we are an oat-free home. When introducing foods, go slowly. One food at a time, every 3-4 days. Small quantities at first. If you notice any signs of intolerance or allergy…vomiting, blood in stool, hives, etc. then stop and re-evaluate before continuing with more foods. Always read ingredient lists. Items on ingredient lists are listed in order of weight so the item at the bottom of the list will be in the product in very small amounts, but it is still there so best to avoid it if you see any words that concern you. Make as much as you can from scratch at home. Bake or cook in bulk and freeze things in the amount you will want. For example, if you want to bake your own bread then bake several loaves at one, slice them, and freeze them. Just as you would with store bought products. If you need to make a special version of a meal for one person in your family, do that once and freeze portions. Then pull those portions out when the family is eating the normal recipe. For example, if you have a child with a cow’s milk protein allergy but you want to serve your family lasagna. Then make up a lasagna using tofu and soy cheese in place of cottage cheese and mozzarella. Freeze this in portions for the child with the allergy. Then when you serve your family lasagna, the child with the allergy can eat lasagna too…just their version of it. Always carry safe foods with you. Kids like to graze so it is important that you have a variety of safe foods with you at all times that your child with allergies can safely eat. Be your child’s advocate. Whether it is in a restaurant, on a play date, or at your mother-in-law’s house…don’t be afraid to ask questions about the foods you and your children will be offered. As a final note, if you prefer to use a cook book try The Kid-Friendly ADHD and Autism Cookbook by Pamela Compart and Dana Laake. I have recommended this book to many clients dealing with multiple allergies not at all related to ADHD or Autism. What I like about it is that it lists which allergens can be avoided with each recipe. If you have any further questions on your specific experience with this topic, please feel free to email me at mealsformeandmyminis@gmail.com. I would be happy to help in any way that I can in terms of advice on resources etc. Here are a few links about FPIES if you want to look into this more.